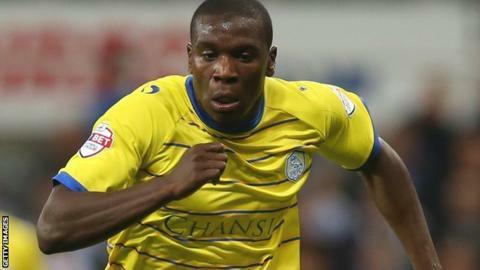 Wolves have signed Sheffield Wednesday winger Jeremy Helan on loan until the end of the season. The 23-year-old Frenchman has made 22 appearances for the play-off chasing Owls this season. "He comes into a wide left or a left-back position and we've had problems in those positions through injuries," Wolves boss Kenny Jackett told BBC WM. "He has good Championship experience and he's ready to go. He'll help the balance of our team as a left-footer." Helan joined Wednesday from Manchester City in July 2013 after a successful loan spell at Hillsborough. Jackett could give Helan his debut for Wolves, who are currently 15th in the Championship, when they take on Derby on Saturday.